The AdvanTex® Treatment System is a compact package that produces effluent clean enough to use for subsurface irrigation. At sizes starting from 7.5' x 3' x 2.5', the AdvanTex Filter is compact and lightweight - the AX20 for residential applications weighs about 300 pounds and can be lifted and carried by three people. And it can be installed right on top of the tank or hidden under a deck. AdvanTex Treatment Systems come with complete installation instructions and an operation and maintenance manual. Trained, Orenco-authorized contractors and service providers ensure a smooth, high quality installation and an optimized treatment process. They're aided by the VeriComm remote telemetry control panel, which continually verifies the operation of your system, allowing a remote operator to diagnose and correct problems. The entire system can be installed on most lots in a single day. AdvanTex Treatment Systems are child-proof, with tamper-resistant bolts, yet easy to access and maintain. They include a limited, three-year warranty on all materials and workmanship, as long as the homeowner's service contract remains in force. A Homeowner's Manual, available in English and Spanish versions, is provided to help households use their system correctly. 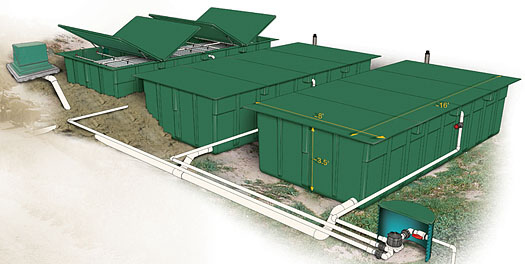 ProSTEPTM Effluent Pumping System Packages from Orenco Systems are a proven, cost effective solution for transporting effluent in a wastewater collection and treatment system. 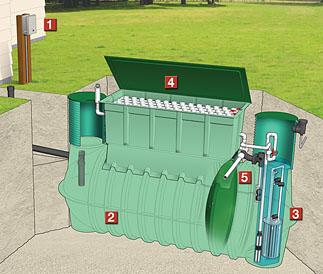 Using patented* Biotube® filter technology, Effluent Pumping System Packages filter out solids so that only liquid from the "clear zone" between the tank's scum and sludge layers is pumped. This reduces biological loading and clogging of downstream components, extending drainfield life. 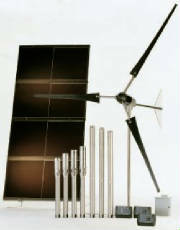 All systems are pre-assembled with corrosion resistant, durable components, ensuring reliability.